After the NBC10 Boston Investigators showed drivers in Boston getting over-meter limit parking tickets after they insist they moved their cars on time, the city is making significant changes to its parking app. After an NBC10 Boston Investigators report, Boston is making significant changes to its ParkBoston app. Transportation Department officials said they're changing the app to include a lockout feature and remind drivers to move after two hours. The city of Boston is making significant changes to its parking app after the NBC10 Boston Investigators highlighted drivers getting over-meter limit parking tickets after they insist they moved their cars on time. Mayor Marty Walsh promised last week the city would fix the problem with the ParkBoston app, and the Transportation Department confirmed the fix is on the way. There are people in Boston that call it the parking spot hustle. They move their car every two hours to avoid a ticket. 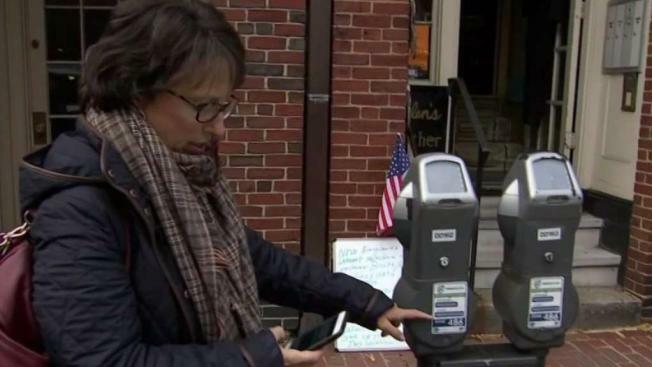 But NBC10 Boston found a disconnect between how drivers pay on the app and what the parking enforcement officer might see on the street. Here are the rules: You can’t park on the same block or in the same zone for more than two hours at a time. But some drivers said they followed the rules—parked for two hours on one block or zone, left the zone for a period of time, and then returned to the original block and zone. They still got tagged 40 bucks a pop for being over the meter limit. The city said it is tough for parking enforcement officers to tell if a driver has left and come back. The officer “could conclude that the vehicle hasn’t moved... and write them a ticket,” the Transportation Department said in its email. NBC10 Boston looked to see what other cities using the same technology do to avoid the issue. Others have a lockout period. If the app sees you’re trying to park in an area you’ve already maxed out, it won’t let you pay. Boston didn’t have that until now. A spokeswoman from the Transportation Department said that after our story, they’re changing the app to include that lockout feature and remind drivers that they have to move to different blocks after two hours to avoid a ticket. “I'm very pleased and I'm impressed with how quickly he was able to do it,” said Lisa Miller, a driver who got, and fought, at least four tickets for over-meter limit parking tickets. The city said the changes should go into effect in the next couple of weeks.